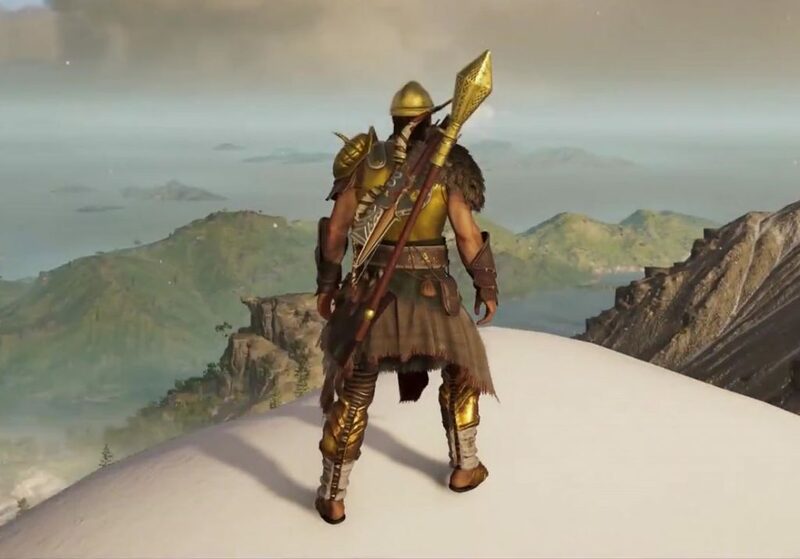 There’s a PUBG Easter egg in Assassin’s Creed Odyssey. I know, it’s unheard of – developers of one hugely popular video game have played another hugely popular video game. It’s simply astonishing, like that time developers of a hugely popular video game have watched Star Wars or Lord of The Rings. This particular reference comes in the form of a unique weapon, one inscribed with the sacred words every PlayerUnknown’s Battlegrounds player yearns to hear – winner winner chicken dinner. This guide will show you where to find the AC Odyssey PUBG Easter egg. In order to find the item, you’ll have to go to the Isle of Naxos, southeast of Attika. There are two small islands south of Naxos – go to the eastern one. When you get to the southern beach, you’ll find a small camp there, called Alektryon’s Rest. The only objective you’ll see will be to kill the alpha animal, but you won’t see anything but common fowl there. It turns out one of the chickens is the alpha – slay it, and you’ll complete the location. Afterwards, look under one of the eaves (the one made of straw) and you’ll see a golden chest. Open it and you’ll find the Poultry Pestle inside, a heavy blunt weapon of purple (epic) quality. When you inspect it, you’ll see it’s decorated with the words “winner winner chicken dinner”, probably in ancient Greek. You’ll also notice it +10% warrior damage, +12% fire damage and +15% damage to animals. So it’s not only a reference to a game beloved by a bunch of folks, but also a decent weapon in its own right. If you’re into heavy blunt weapons – which means less hits, slower moves but a lot more damage – you’ll probably find a place for it in your loadout.